An error message is a communication displayed when something unexpected happens usually on a computer or other devices. An error message is often displayed using a dialog box, on graphical interfaces of modern operating systems. It appears to indicate that a particular operation has failed or to give an important warning. An error message is a component of every operating system. 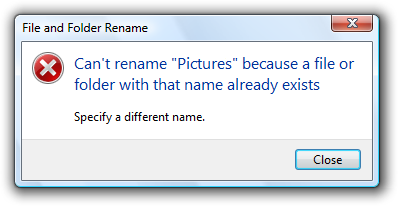 For this reason, the design of error messages is an important subject for Usability designers. Here, at WindowsReport.com, we manage to cover most of the errors and issues encountered in using Windows OS and related software or programs. Our tech experts will provide solutions to fix those problems and optimize computer programs. Most Windows Updates have triggered some issues and you can check here the latest news on Windows 10 update. Many Windows apps and programs have stumbled upon errors also. Find out the latest articles with solutions to fix Windows apps and programs. Gaming is not lacking errors as well, and many fellow gamers have found solutions to gaming problems encountered on Windows PC, Xbox, PlayStation, Steam, Windows Store games and many others.